The virtual sunniness of it all makes the summer heat seem more oppressive somehow. We had rain after rain after rain in July for weeks and then virtually for a week it was all over, the steady sunshine and heat quickly depleting water levels. So I didn’t know what to expect when I wandered over to the Portage Sunday morning. 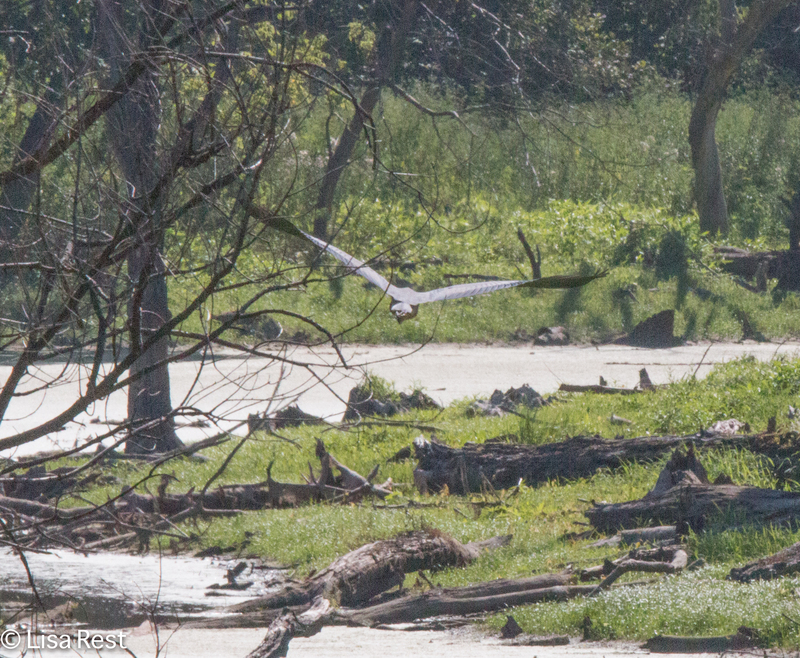 Perhaps shorebirds, but there were none. 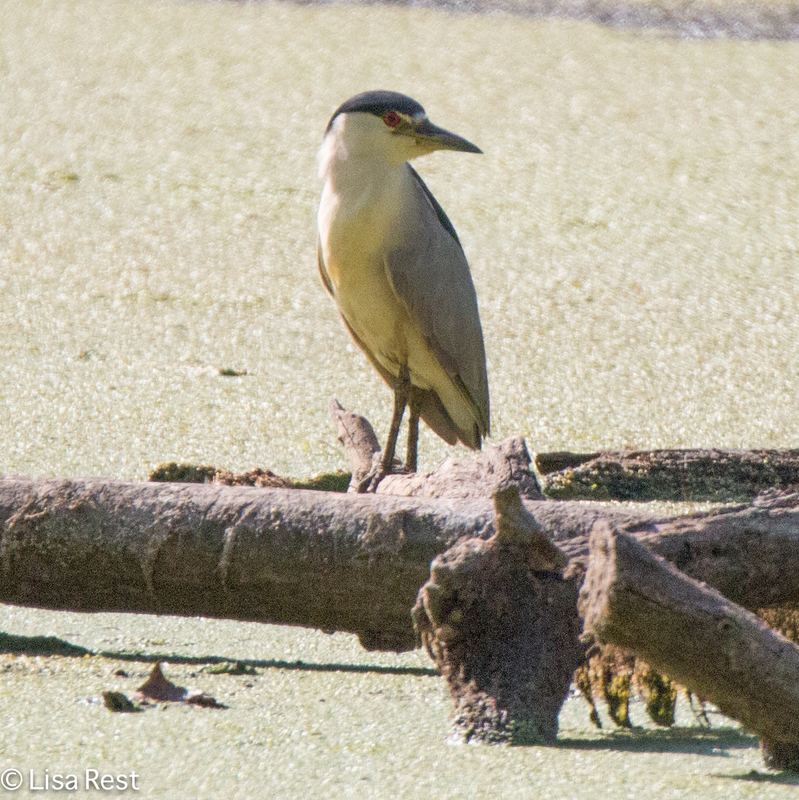 However there was the Black-Crowned Night Heron above. 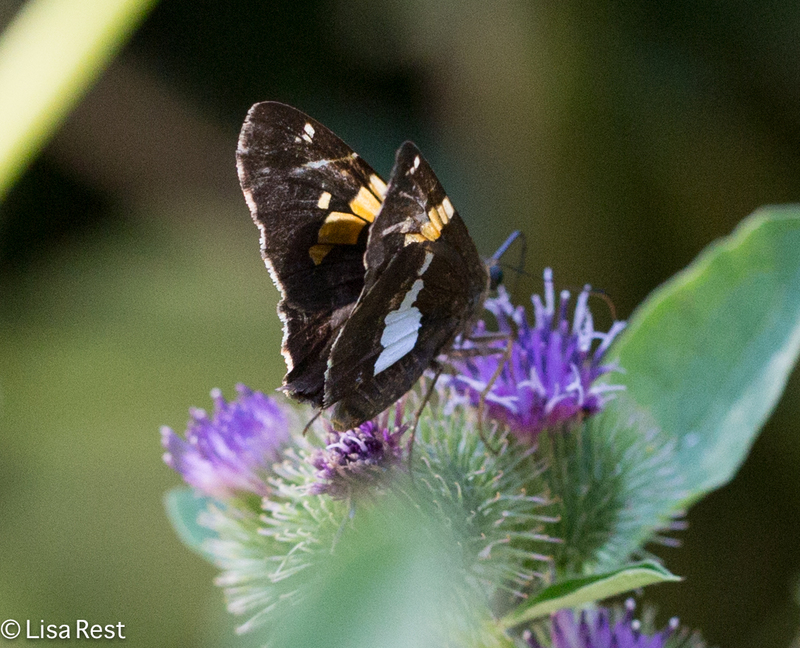 I don’t think I’ve ever seen one at this location, so that made the visit worthwhile immediately. In discovery mode I’ll take anything but for some reason a different or unexpected bird sates my hunger for more for…at least a few minutes! 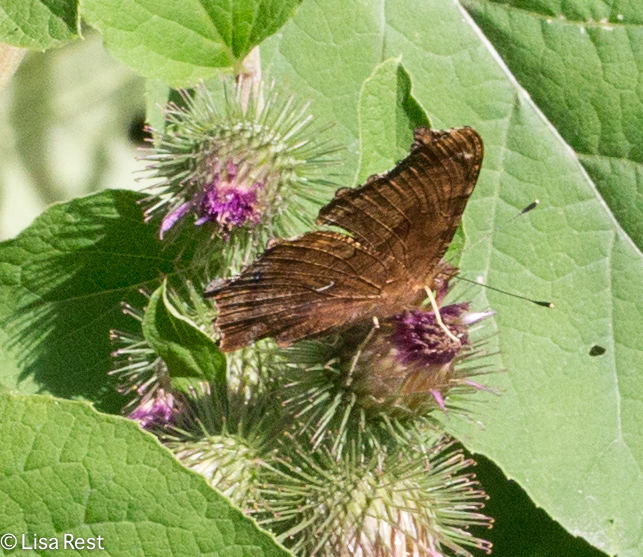 The only other species near what little water was left was a Great Blue Heron who was first silhouetted as I walked in against the sun, the trail still being inaccessible from the opposite direction, and then after I emerged from a lot of burdock and butterflies, the heron decided to leave. 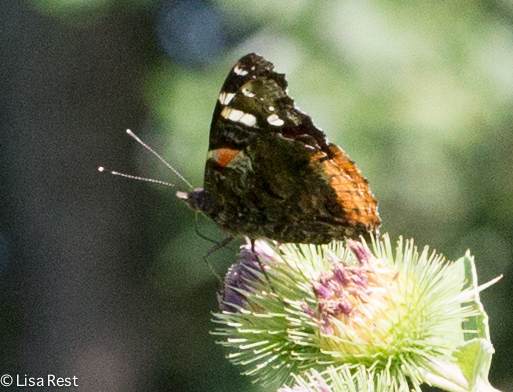 The butterflies almost made up for the lack of bird species. After months of closing the hole in the fence, the gate, so to speak, is wide open. An enormous amount of vegetation has been cleared and there is a wide path leading in either direction, toward the Des Plaines River or the Metropolitan Water Reclamation District. I did not go far in either direction but decided to at least take a peek at the river and on my way I encountered a doe and two fawns. 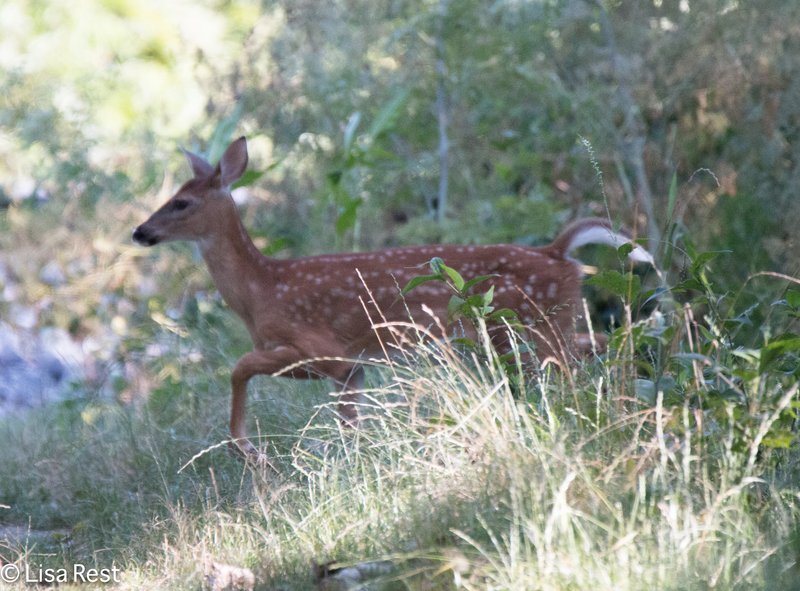 Below is one of the fawns passing through. 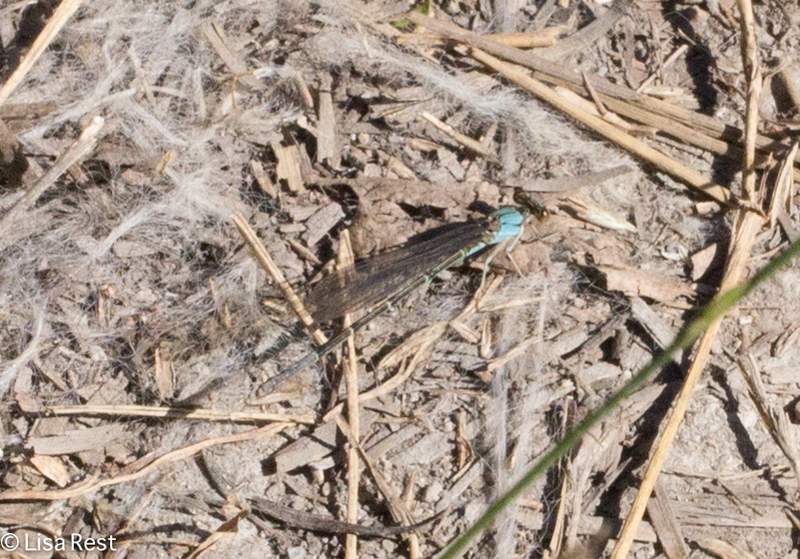 There were dragonflies but they were generally less cooperative. 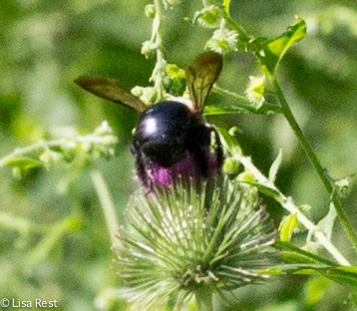 Is this the backside of a bee? House Wrens were still quite vocal and I managed to see this one. 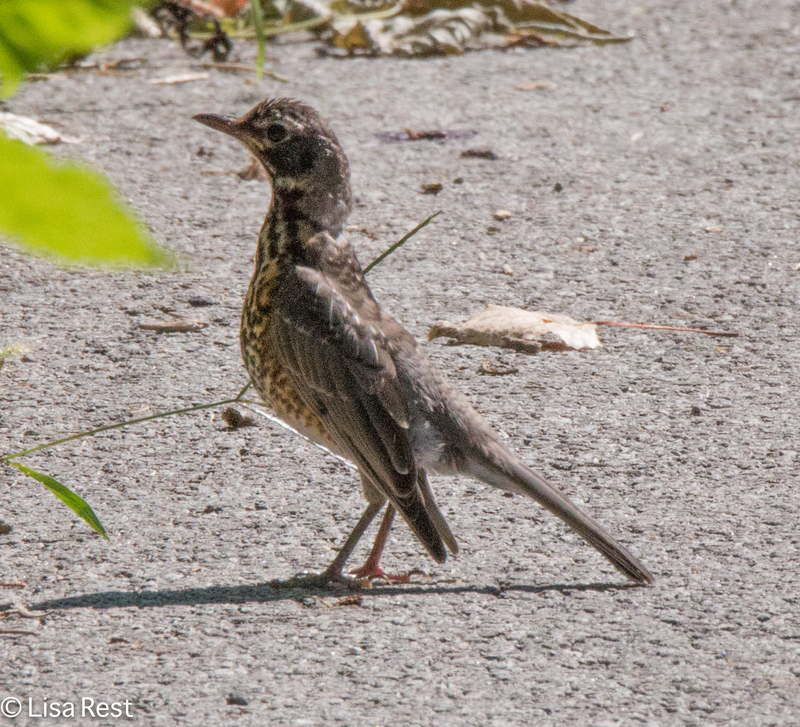 Of all 13 species I reported, there were more American Robins than anything else. The one below will quickly lose its spottiness. 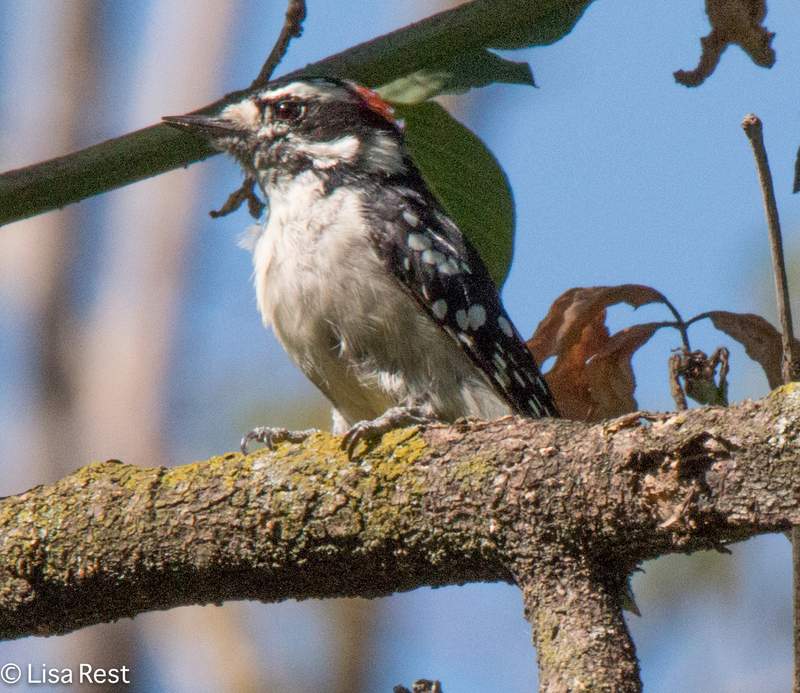 Downy Woodpeckers are regulars at the Portage, if not always visible. 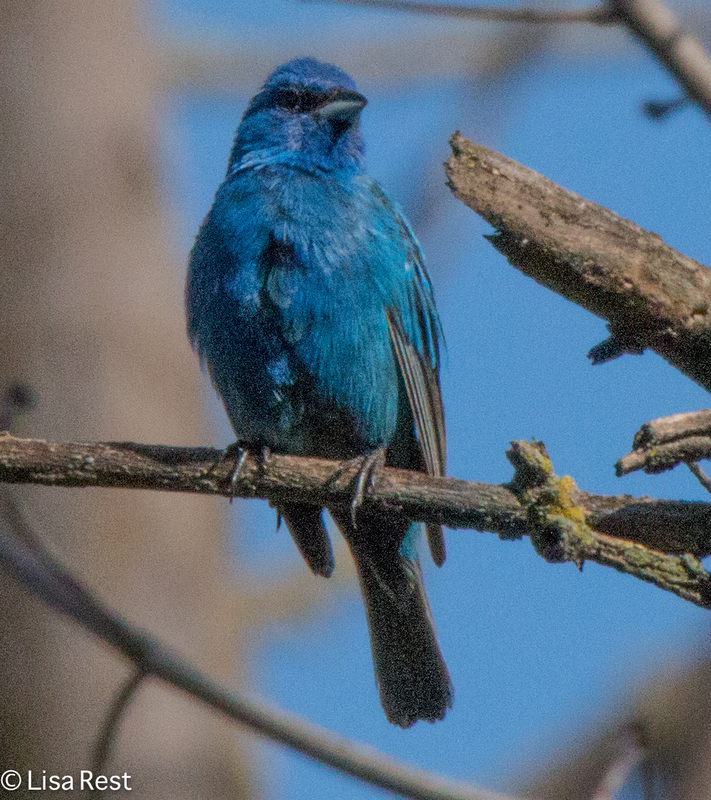 And Indigo Buntings still rule. There have been more than ever this breeding season, and they are still singing. 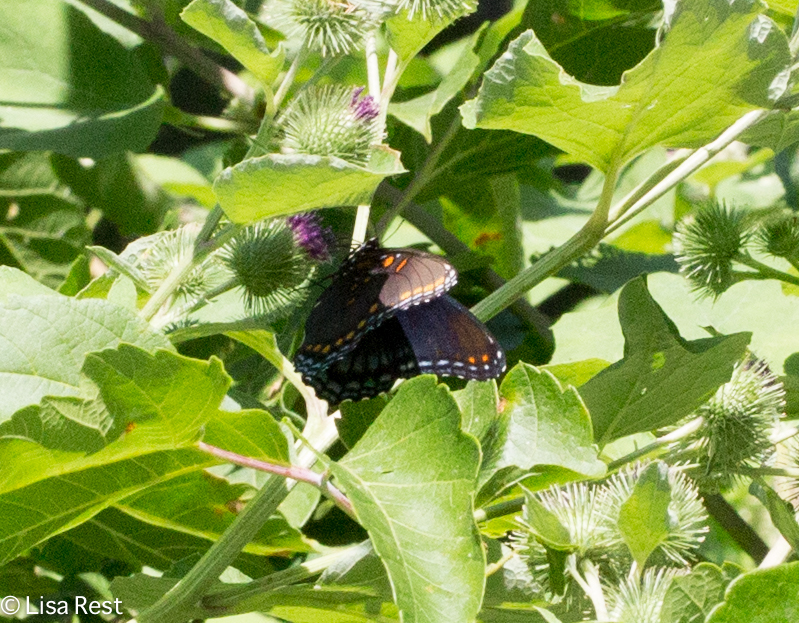 We’ve cooled off a bit, and the days are inching ever-so-slightly shorter, tilting thoughts toward fall migration. I’m sure there’s still plenty of hot weather left but maybe I’m finally getting used to it. If it doesn’t rain this weekend…who knows where I could go? 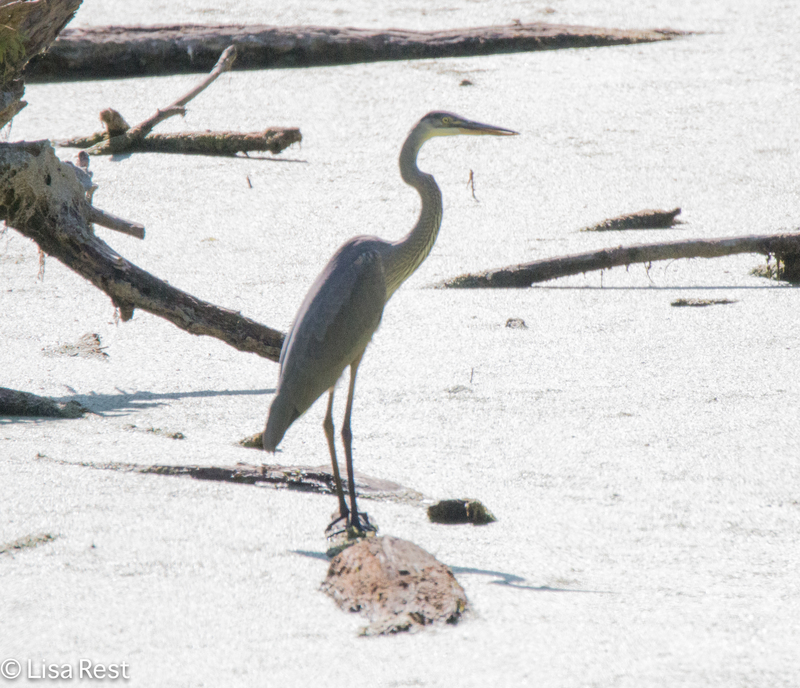 This entry was posted in birding, birds, butterflies, photography and tagged American Robin, Black-Crowned Night Heron, caterpillars, Chicago Portage Woods, damselflies, Downy Woodpecker, dragonflies, Great Blue Heron, House Wren, Indigo Bunting by Lisa Rest. Bookmark the permalink. The indigo buntings are remarkable. Your picture was most enjoyable. 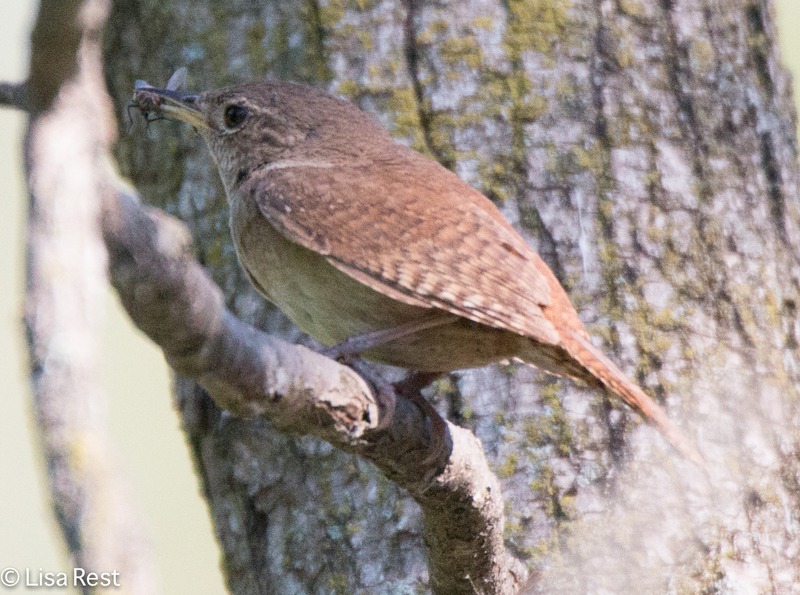 The house wren was very good too. Thank you so much. 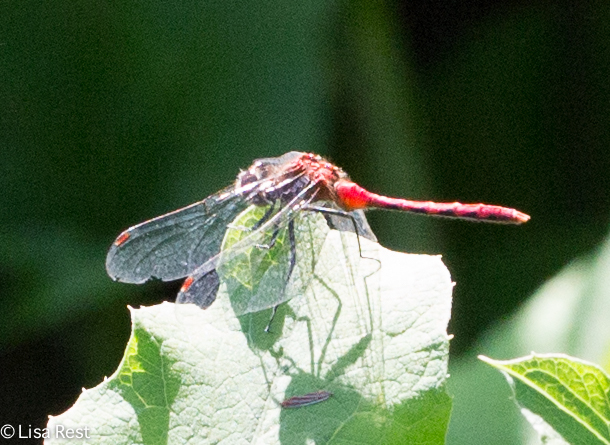 I am indebted to image stabilization. Love the bunting! 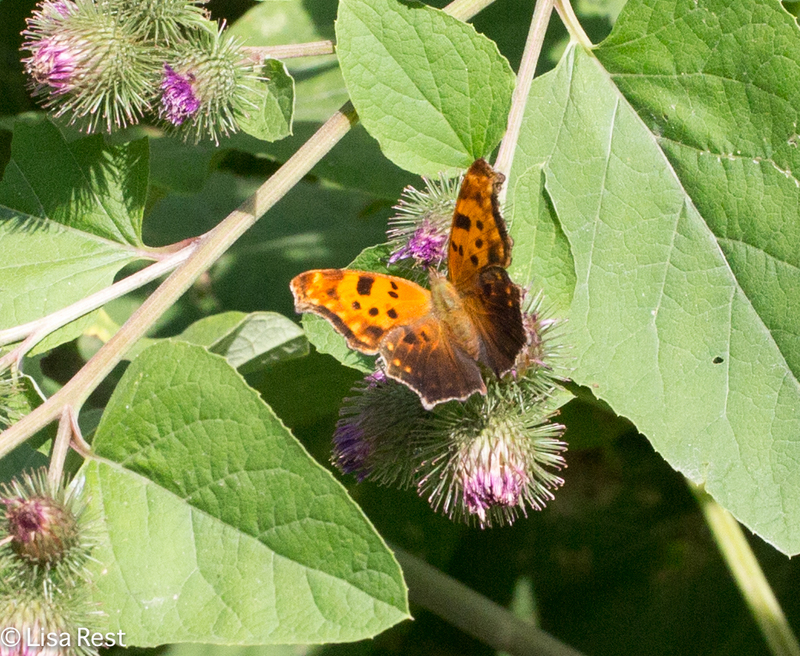 I saw my first last summer and it made me feel great that they enjoy all the thickets and brush around my property! I don’t mean to gloat, but for the first time ever we seem to be getting the rain everyone else is missing. I’ll enjoy it while I can and wish the same for you. Glad to hear you are getting rain. I must admit we had so much at the beginning of the summer it seemed like it would never end, but now that which is predicted often passes us by. 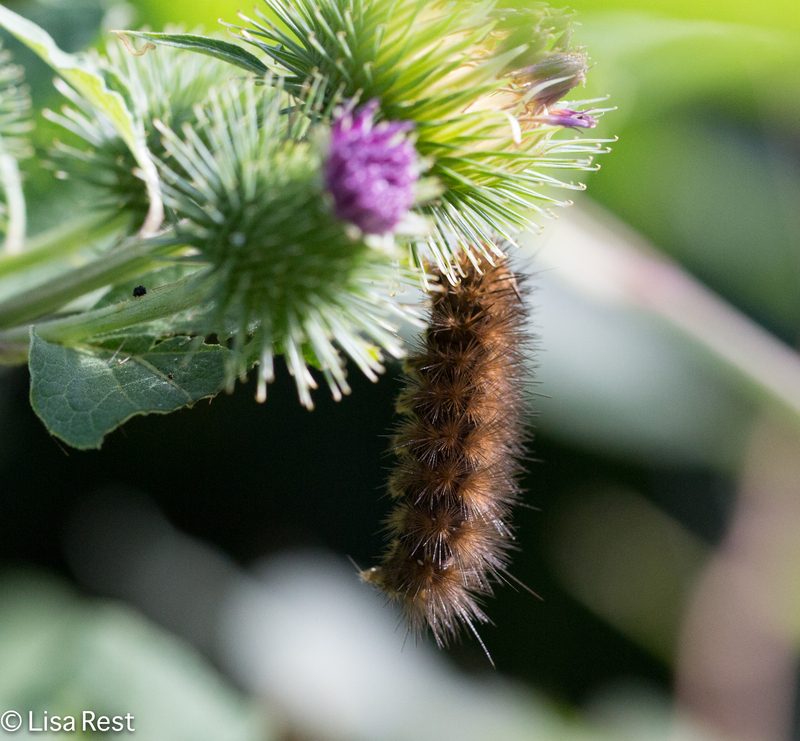 No rain slows down the weed growth, but it makes the flies thirstier, etc. Glad to hear you’re getting buntings too. It’s encouraging when a species seems to be able to adapt to our natural spaces, whatever their size.